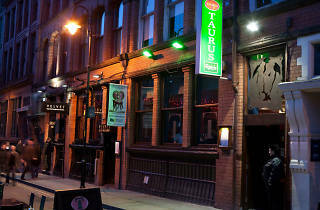 Taurus is one of the most respected bars within Manchester’s Gay Village and is seen by many as its beating heart. This is because it manages to be so much more than just a bog-standard boozer, instead fully immersing itself within the LGBT scene to become an integral part of the community. Taurus is also arguably Canal Street’s creative hub, championing the arts in a way that most other bars in the area don’t even come near to. Here you’ll get to watch innovative new plays, attend an exclusive book reading or peruse a quirky art exhibition, making the space anything but an average drinking den. The cocktail list is rare in that, unlike many bars, it sticks to a cherry-picked selection of old favourites and twisted classics. For those after some fizz, Prosecco is also sold by the glass for £5.50. The food menu offers simple, traditional dishes with a heavy European influence, with a fish butty, chorizo and chilli tagliatelle and herb-crusted lamb cutlets. If you’re sharing, go for the bucket of mussels, which comes with both French fries and bread for the all-important sauce-mopping process. What’s especially good is their collection of vegetarian dishes like Lancashire cheese and onion pie, smashed white bean and rocket sandwich and chickpea, halloumi and chilli burger. 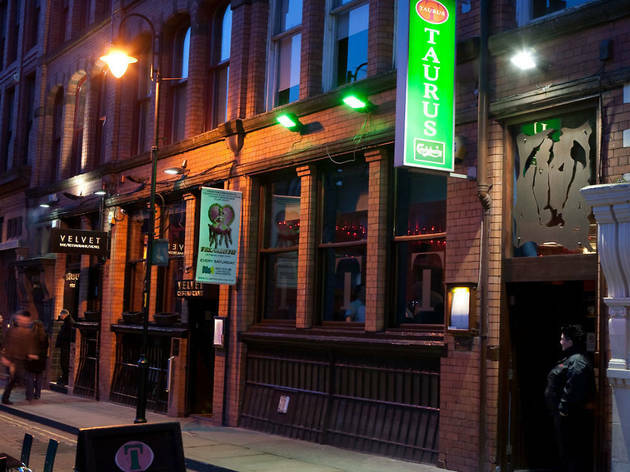 Taurus has fast become an LGBT institution within Manchester, but with this success comes not a hint of arrogance, thanks to the down-to-earth and friendly staff. Its informal drinking and dining atmosphere is what keeps punters coming back, making it a melting pot of people from all walks of life and perhaps one of the best things to happen to Manchester.